Simple and elegant, these cards are perfect for you to write your custom message. Printed by Guajolote Prints in the USA. Guajolote Prints Double Sided Postcards 50 Count. 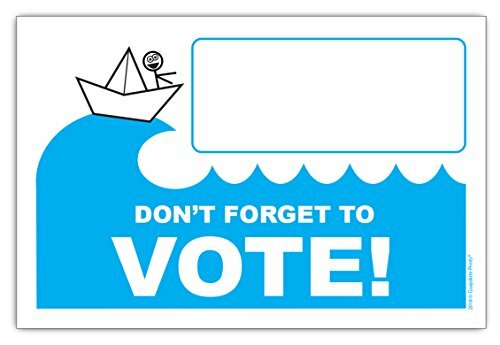 Don't Forget To Vote print in front, with address lines on the back. Standard Size 4 x 6 inches. Blue and Black imprint. 80lb White Matte Cover Card Stock. Matte Finish ideal for writing with pencil, pen or marker. If you have any questions about this product by Guajolote Prints, contact us by completing and submitting the form below. If you are looking for a specif part number, please include it with your message.